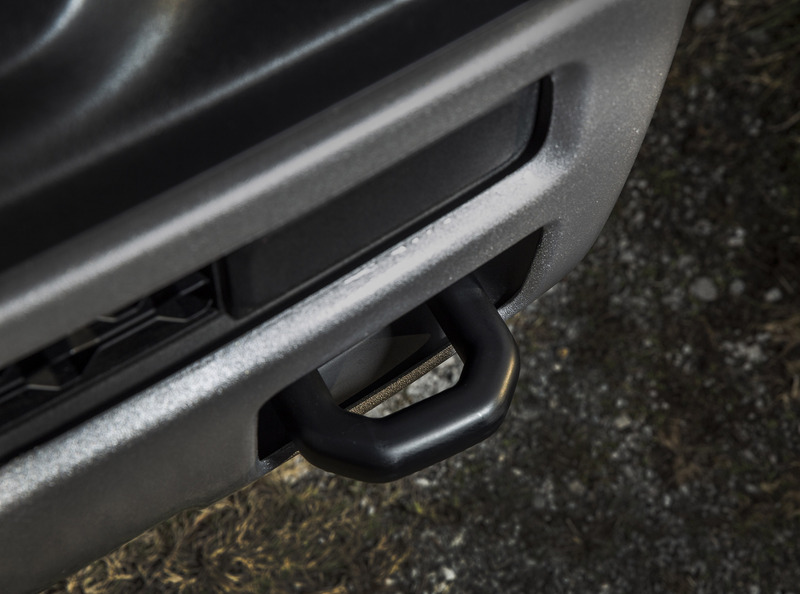 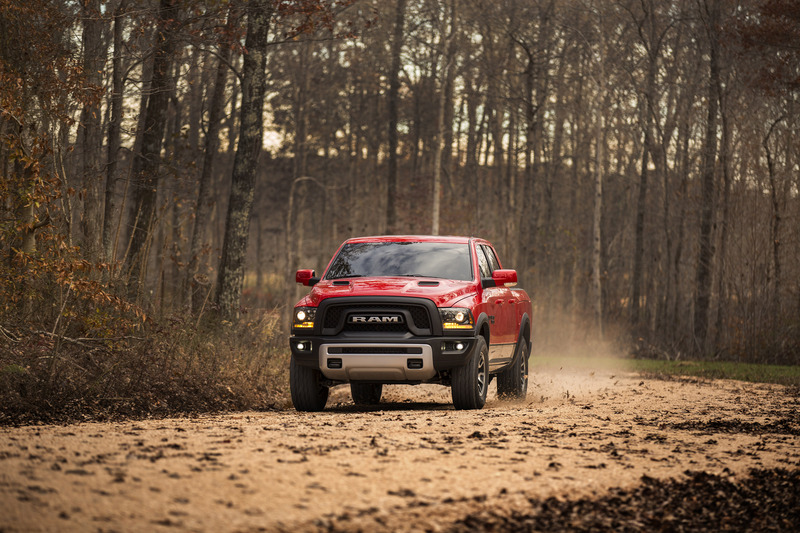 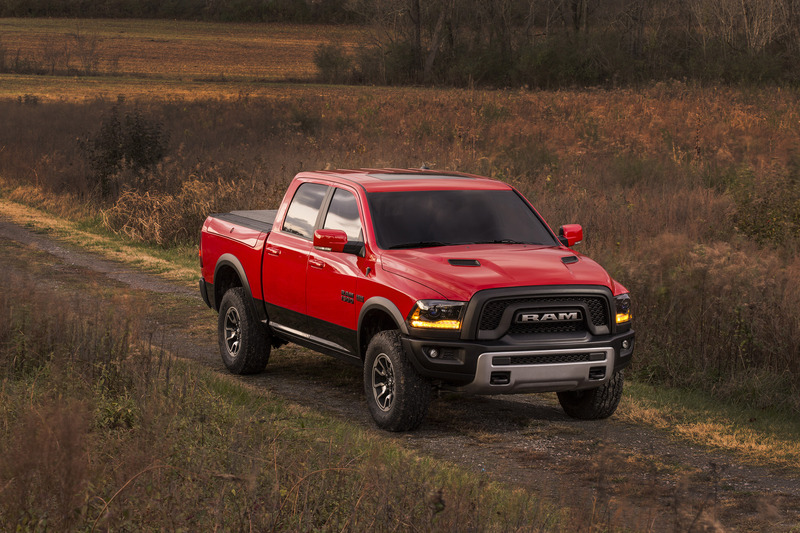 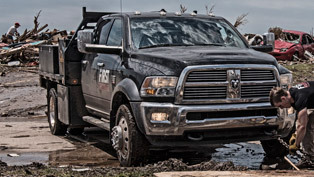 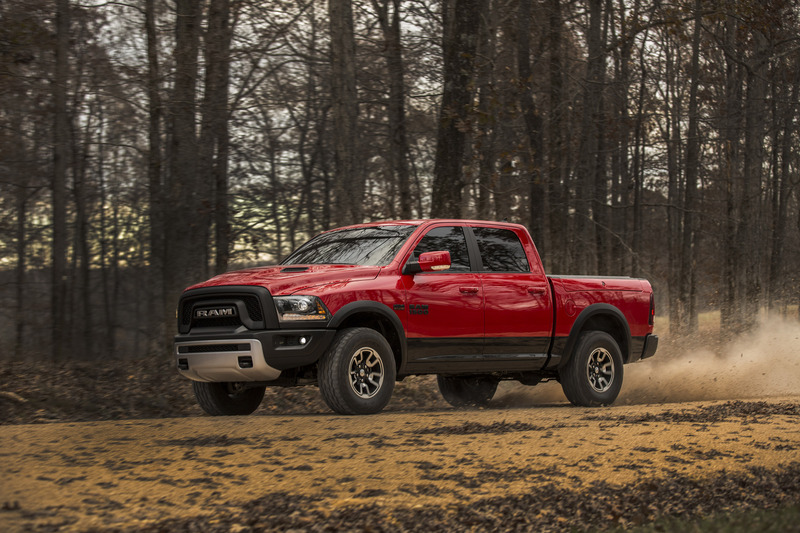 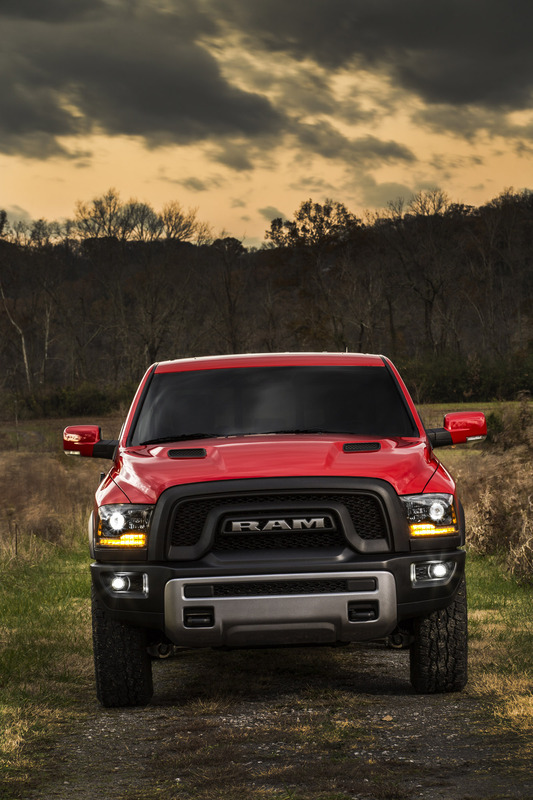 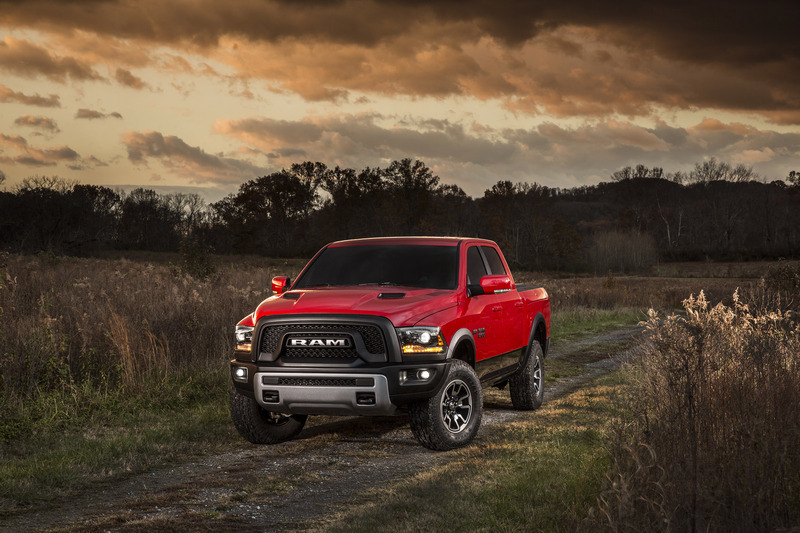 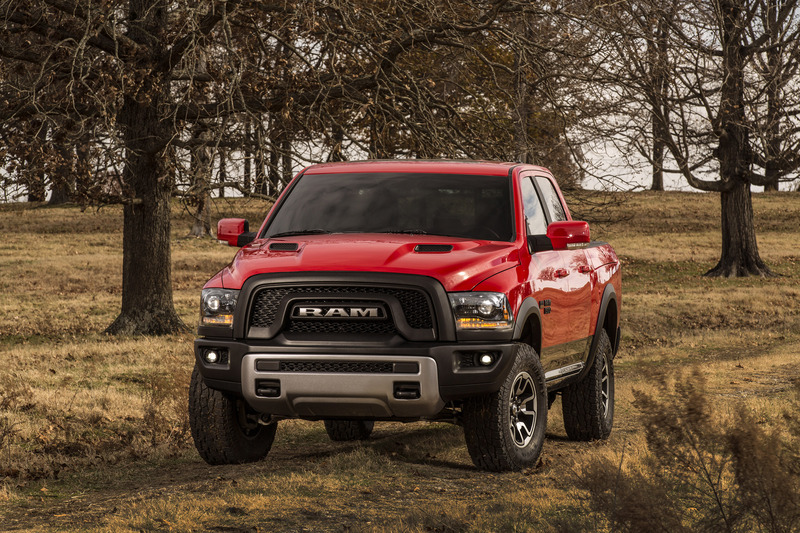 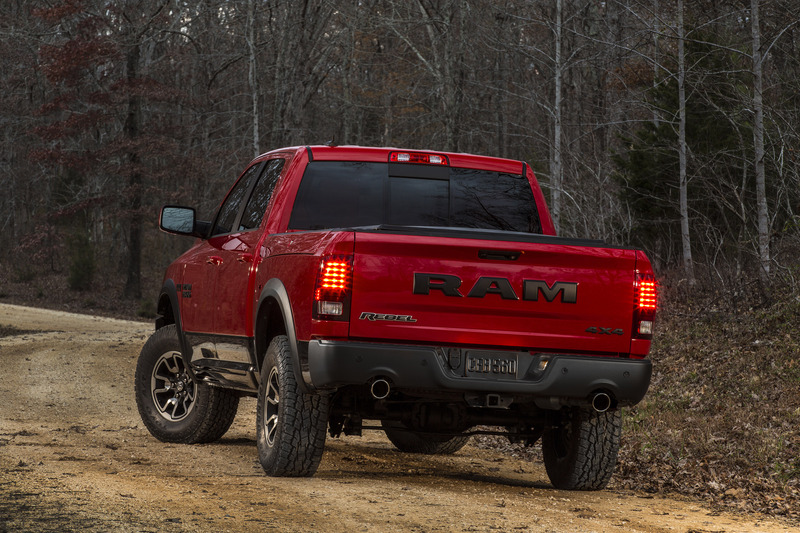 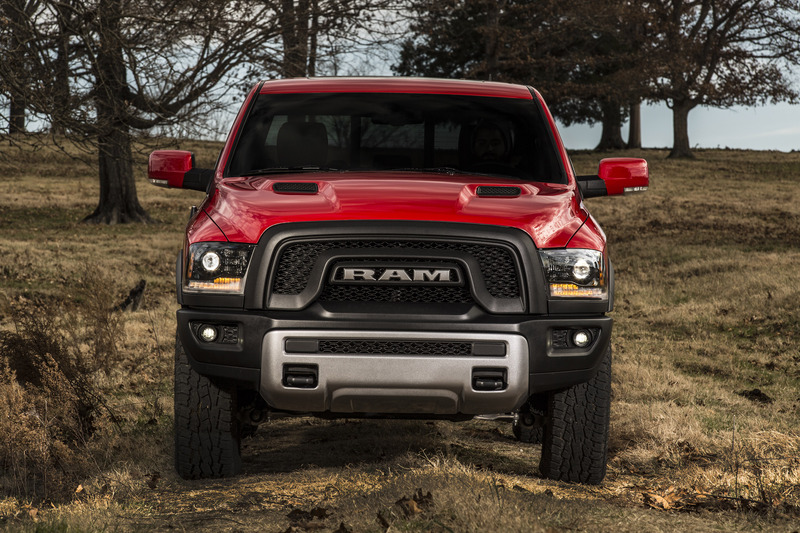 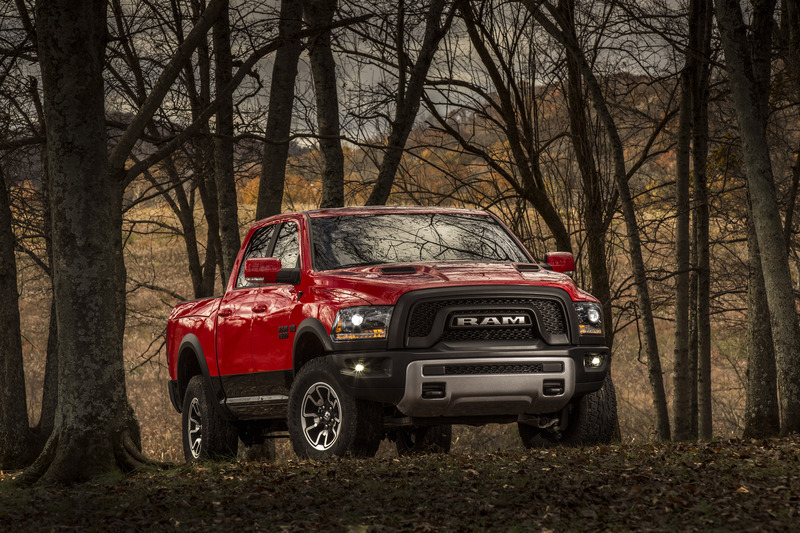 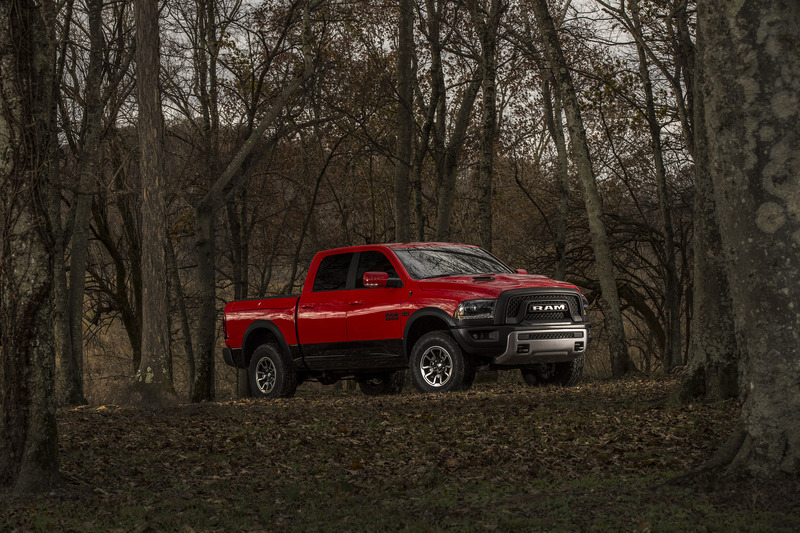 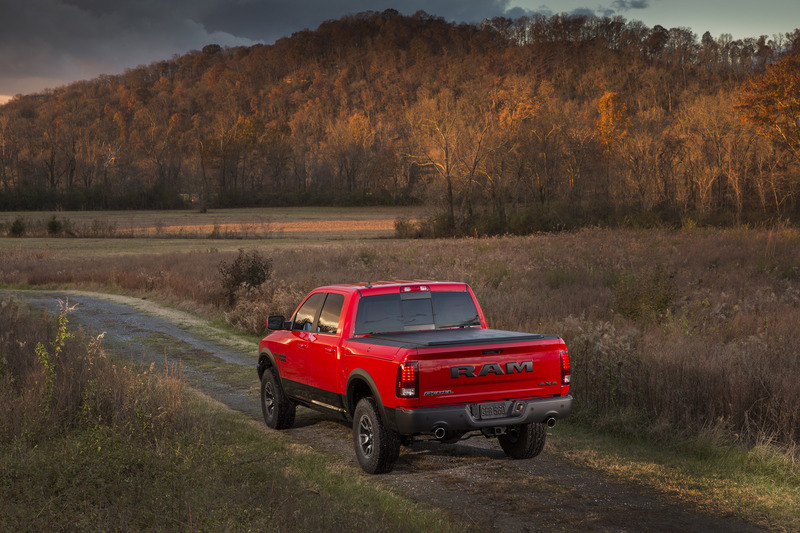 As a true rebel, the 2015 Ram 1500 Rebel brings a one-of-a-kind off-road design to the full-size truck segment. 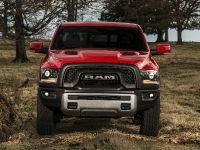 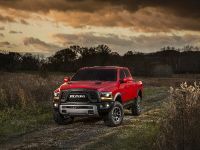 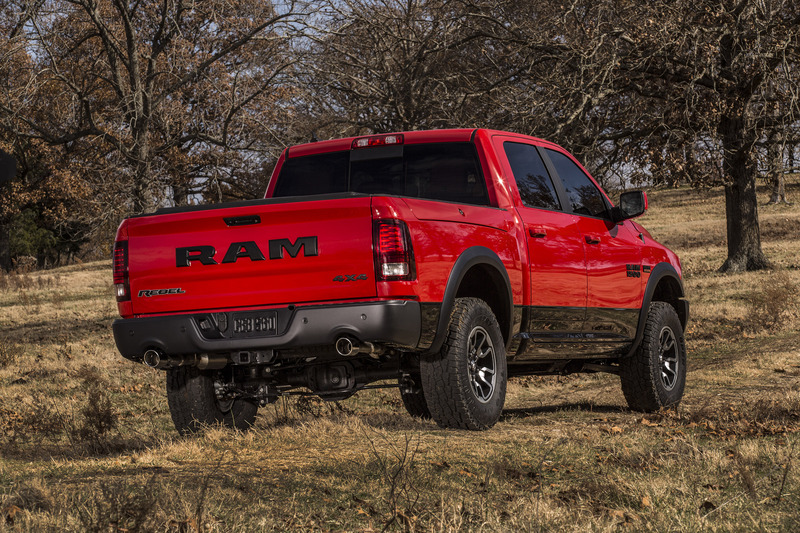 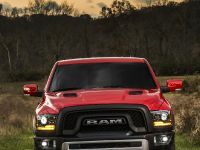 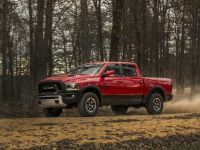 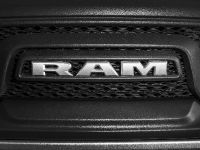 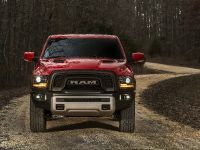 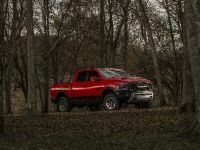 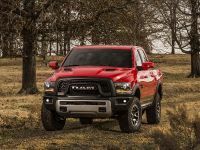 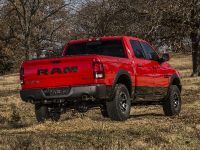 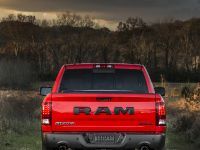 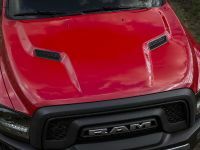 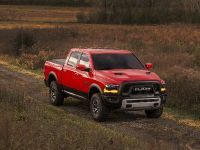 Just take a look at its muscular and aggressive stance, emphasized through its blacked-out grille and the huge billet silver "RAM" letter badge. 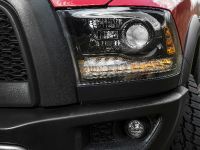 The grille tops a completely new black off-road front bumper with a new design that incorporates a powder coated, billet silver skid plate, front tow hooks and LED fog lamps. 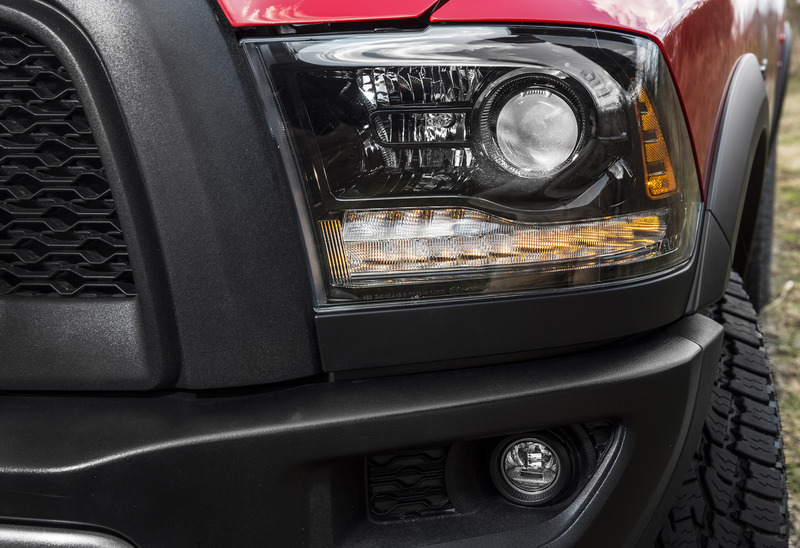 Beneath the aluminum, twin-snorkel sport hood is positioned the black bezel bi-functional projector headlamps with LED marker lights. 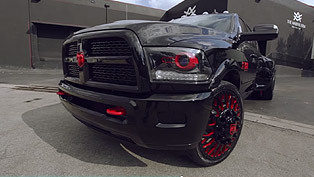 The sides are as rebellious and include the same blacked-out design theme. 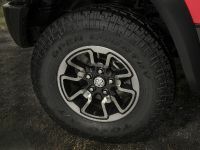 There we can also see black Power Wagon wheel-arch moldings, flat-black badge, mirrors and lower body panels. 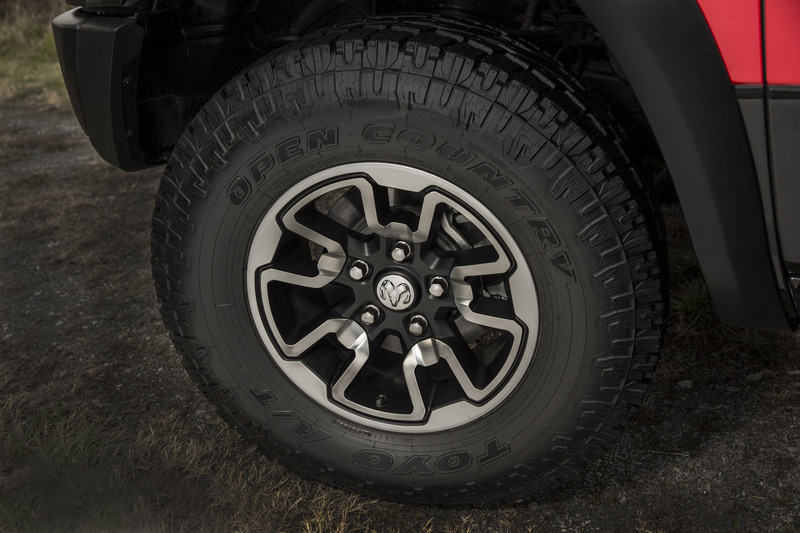 We can't skip the 17-inch aluminum wheel with matte black painted accent pockets and multi-angled surfaces. 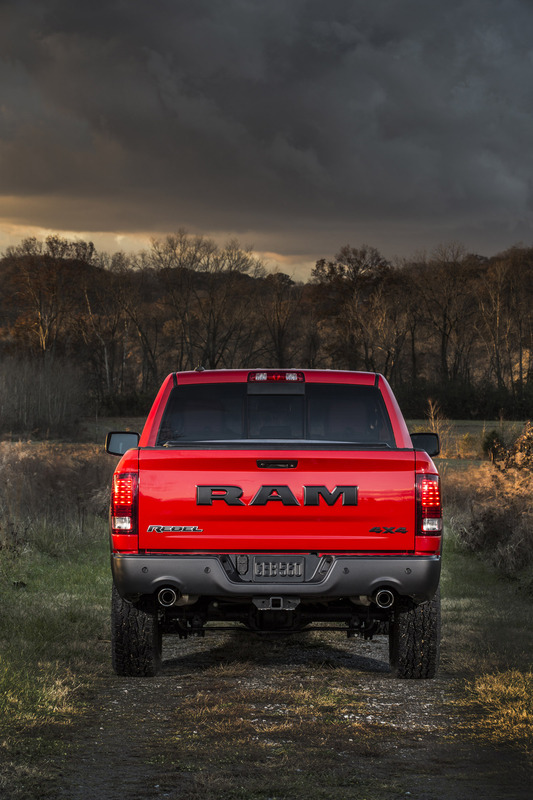 At the back, we see "RAM" stamped tailgate with blacked-out lettering as well as "Rebel" and "4X4" badges. 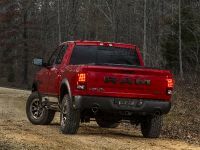 The new rear bumper is also treated with durable black powder coating, while the tail lamps incorporate black bezels to match forward lighting. 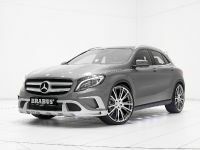 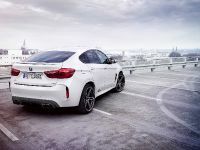 The vehicle will be offered in a choice of five colors: Granite Crystal Metallic, Bright Silver Metallic, Flame Red, Bright White and Brilliant Black. 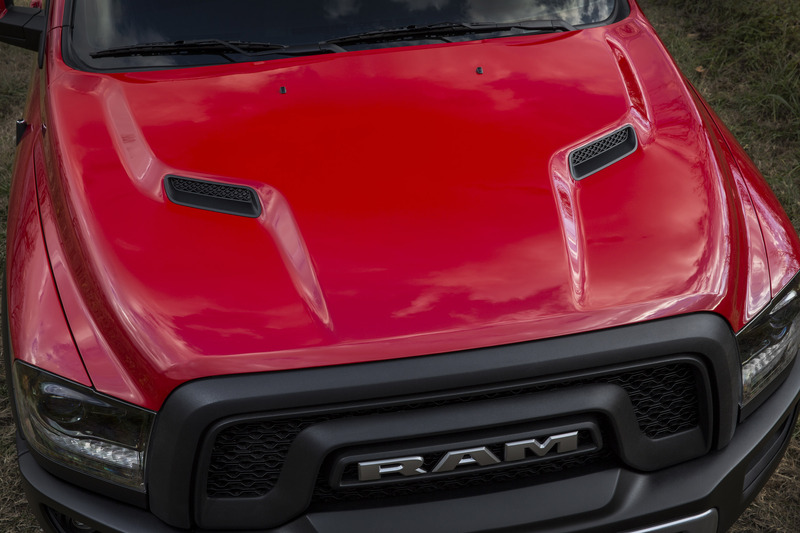 There are also monotone and two-tone paint options. 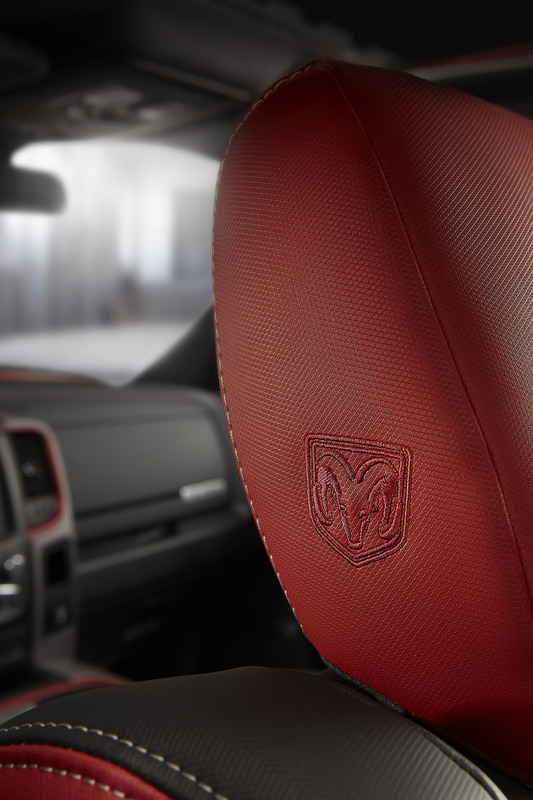 The interior of the rebel is adorned by technical grain vinyl seats finished in Radar Red and Black. 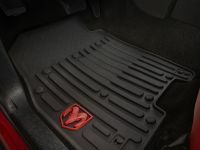 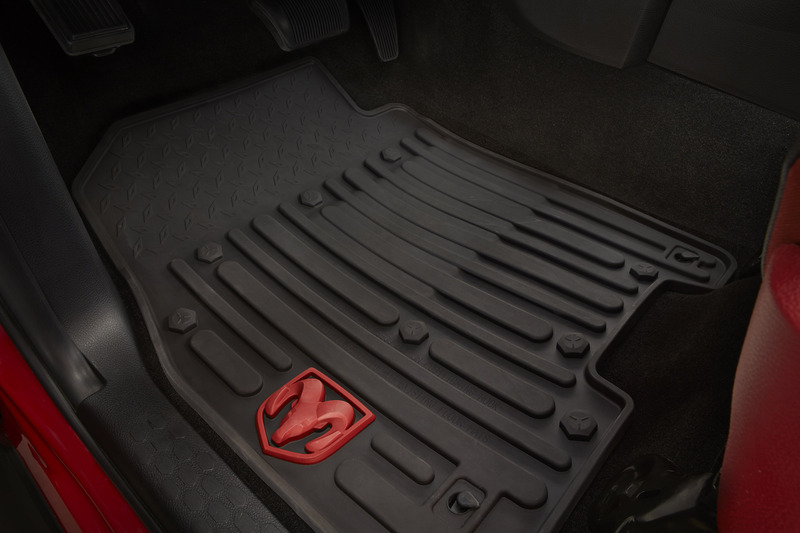 They also feature Sedoso fabric inserts embossed with the Toyo tire tread pattern. 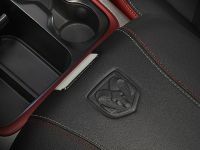 The black design scheme is continued through the instrument panel, door armrests and logo-embossed center console armrest cover, which are topped with two-tone Radar Red and Light Gray accent stitching. 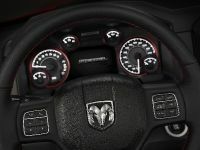 In contrast the Radar Red color is used for the anodized vent rings, door accent rings, door trim spears and center console trim ring. 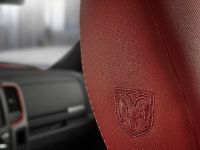 The heated steering wheel is wrapped with semi-perforated black leather, accentuated by Radar Red X-stitches. 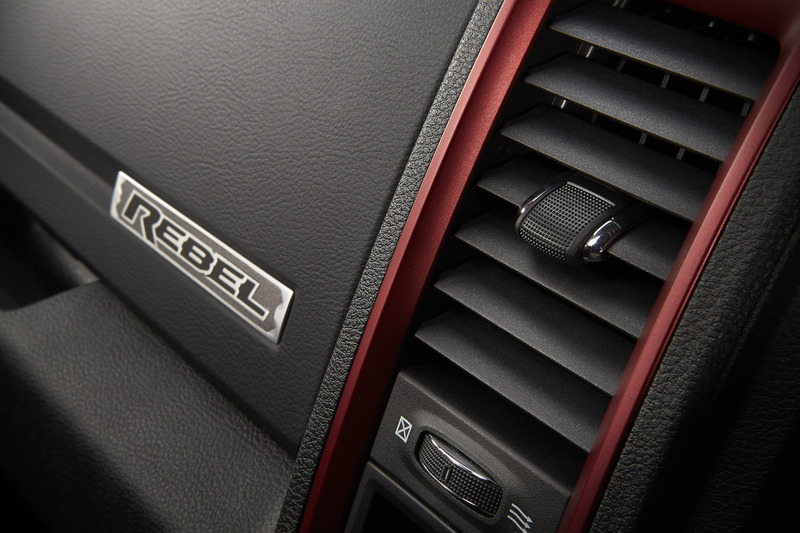 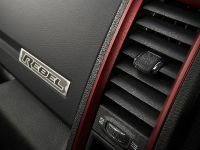 The engine range should be as rebellious as the vehicle. 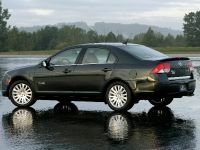 And it is! 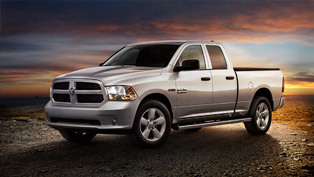 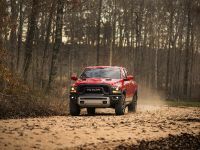 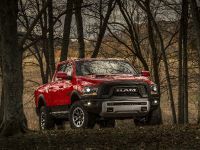 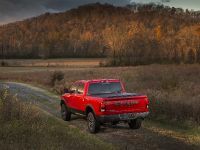 It includes the 3.6-liter Pentastar V-6 unit and 5.7-liter HEMI one in either 4X2 (HEMI only) or 4X4 configurations. 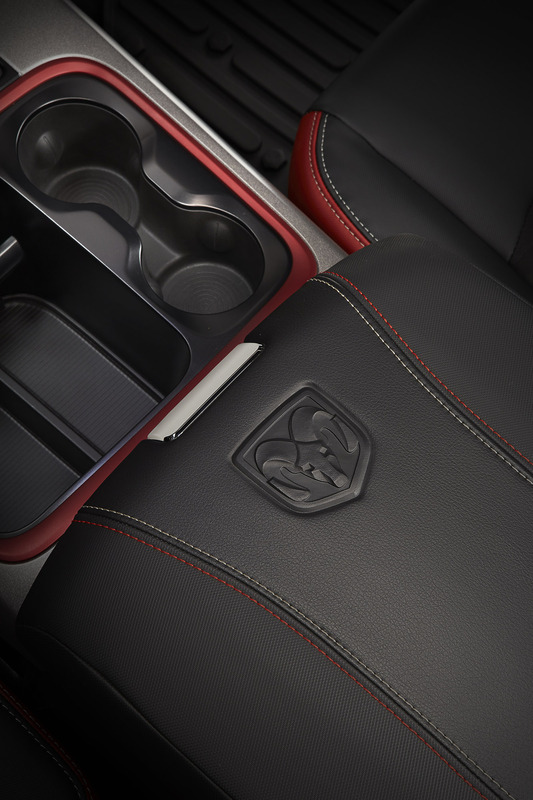 There is a RamBox which is optional. 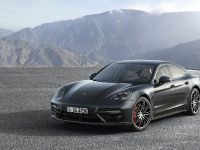 Precisely, the 3.6-liter engine produces 305 horsepower (224 kW) and 365 Nm (269 lb-ft) of torque. 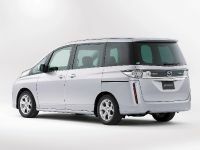 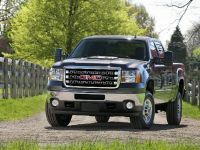 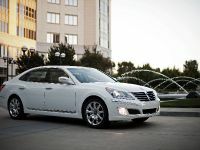 Despite its might it offers best-in-class gasoline fuel economy of 25 (mpg). 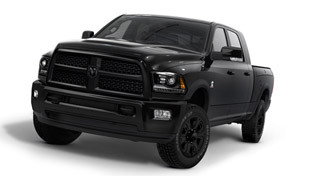 On the other hand, the iconic 5.7-liter HEMI V-8 generates 395 horsepower (537 kW) and 555 Nm (410 lb-ft) of torque. 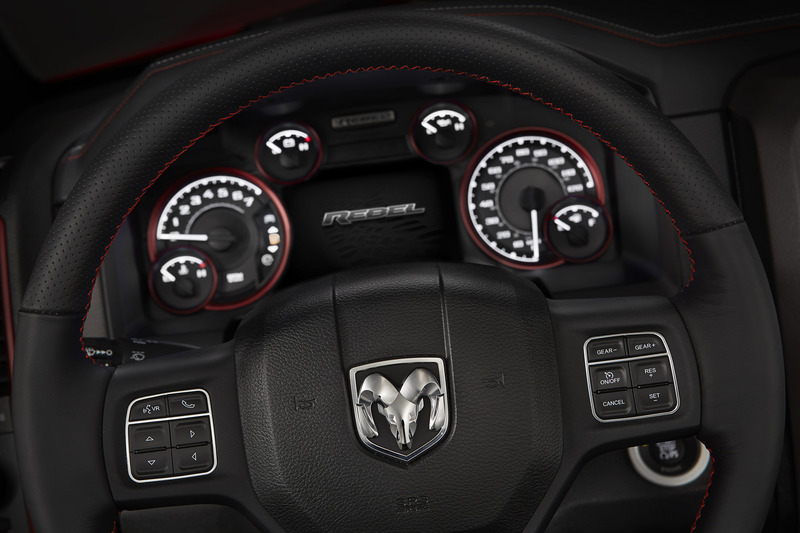 The TorqueFlite 8 automatic transmission is standard equipment for both units. 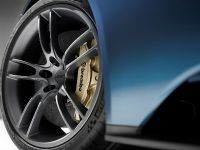 In addition, they are available with a rear anti-spin differential, which turns both rear wheels in tandem when increased torque is applied. 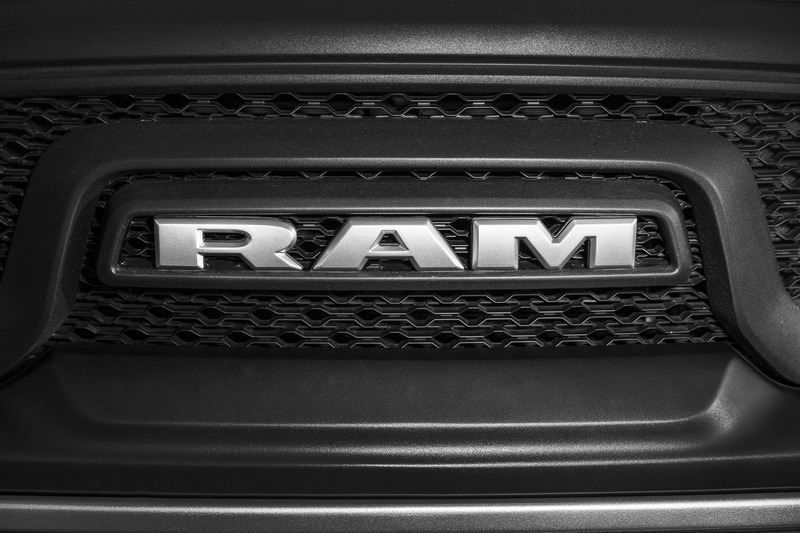 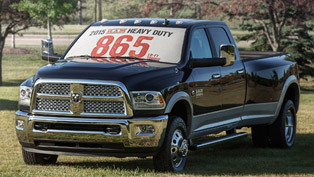 2015 Ram 1500 Rebel goes on sale in the second half of this year.